Capture the consumer’s attention with giant moving vehicles which are impossible to ignore. Moving billboards are here to stay! Transit advertising is advertising placed in or on modes of public transportation or in public transportation areas. Using this method of advertising, ads can be placed anywhere from on the sides of buses, trains and taxis, to inside cars, inside bus stations and near train or bus platforms. 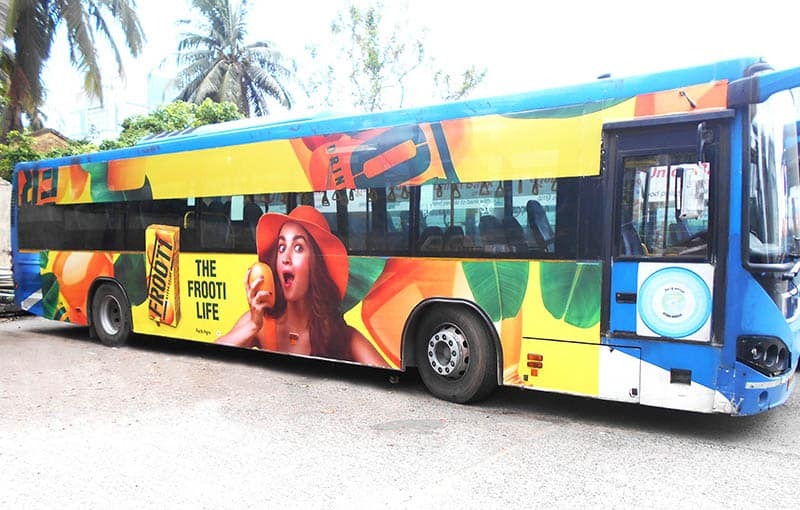 The main purpose of transit advertising is to reach riders and acquaint them with your brand. 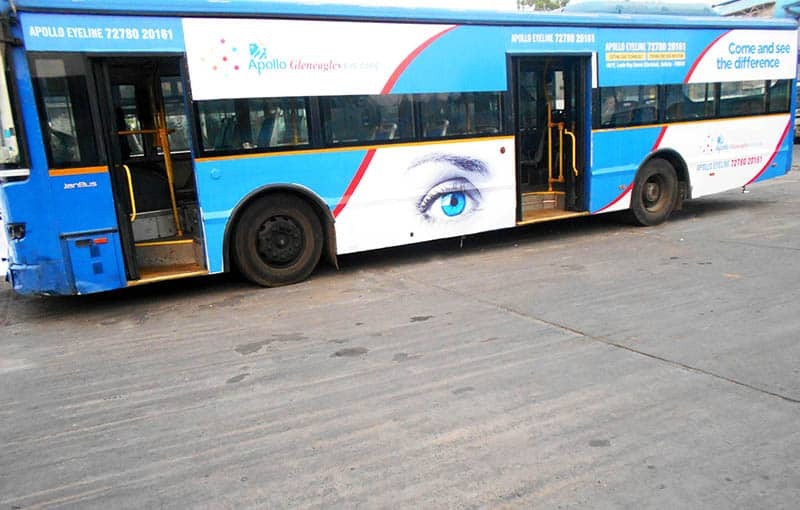 Bus advertising is a new mode of advertising in India by sticking the adverts on the exteriors of the buses. They are unavoidable vehicles and capture attention quickly because of their huge size and high frequency of service on roads. Advanced printing technologies have enabled the printing of high resolution, well-designed and catchy images which can be stuck to buses. These advertising stickers can be peeled off from the buses once the advertisement contract expires. These stickers are stuck with special adhesives that don’t damage the paint of the bus. The large, colorful and innovative designs demand attention. 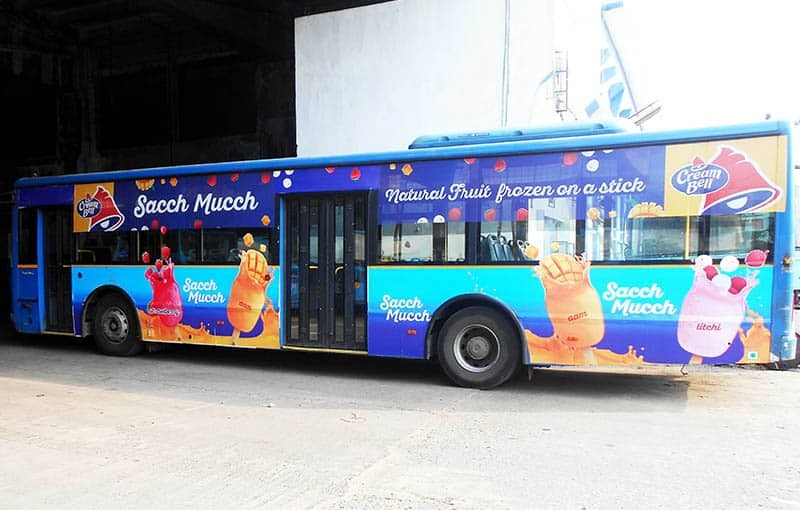 The brand which is advertising on the bus has exclusivity of space. The medium delivers to a varied audience travelling in the buses. either sides of the bus. You can buy all of the signs–inside and out–on one vehicle for tremendous impact. Outdoor billboards and transit signs are very effective when used together. inside the bus increase brand awareness experience in many ways.